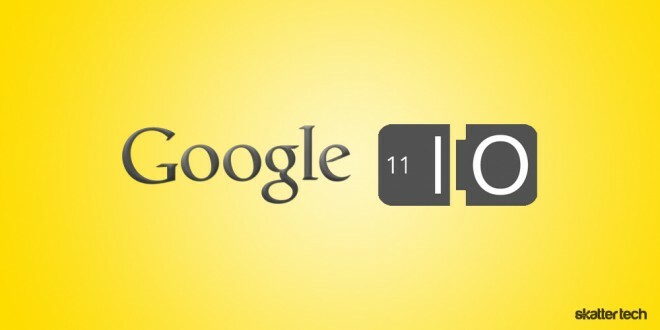 Last year at Google I/O 2010 the company announced Google TV and Android 2.2 Froyo. It was a fairly large event and attendees even walked away with HTC EVO 4G smart phone in addition to a Motorola Droid or Google Nexus. This year, the event sold out in just 59 minutes despite the fact that tickets were almost $450 per person. While not nearly as expensive as Apple’s WWDC conference, attendees get to sit in on keynotes and developer sessions revolving around Google products. For those who were not lucky enough to grab a pass, Google plans to host I/O Extended parties around the world and will provide a live stream for anyone with an internet connection. The conference starts on May 10th and continues on the 11th. The I/O 2011 website will even offer access to additional Android and Chrome development sessions in addition to the main keynotes. According to the official Google Blog, this is their largest event to date. We are definitely hoping for some big news when it comes to the next generation of Android. Early rumors indicate a convergence of the Gingerbread and Honeycomb operating systems which are currently specific to smart phones and tablets, respectively. I am also hoping to see a major revamp when it comes to Google TV, which still lacks access to the Android Marketplace and fails to offer quality experience. As for the gadgets usually given out to paying attendees, there is still no mention any possible items. I recently shared my thoughts on whether it could be a smart phone, tablet, Chrome Notebook, or a Google TV for those interested. As always, we will be at the event with live up to the minute coverage on Skatter Tech LIVE. Feel free to subscribe to stay up to date with the latest developments.